The People's Liberation Monument, designed to remember the victory over the Japanese in World War 2, is located in a very large shopping plaza where people to congregate, relax, and enjoy the amenities. The People's Liberation Monument was built in 1945 and is located in the Yuzhong District. 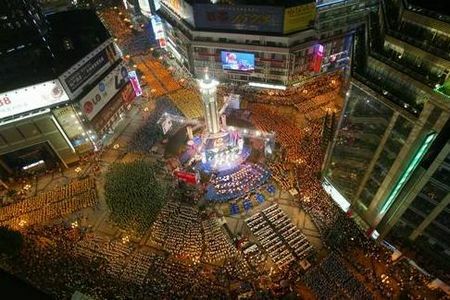 This area is the financial and commercial center of Chongqing City and proudly hosts the People's Liberation Monument. 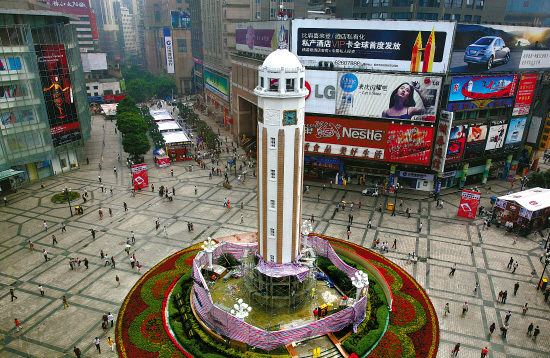 The People's Liberation Monument itself stands at about 27 meters tall and is located in the Jiefangbei commercial square. This commercial square is about 24,000 square meters and was finished in 1997. The People's Liberation Monument is just one of the beautiful touches featured in the area.